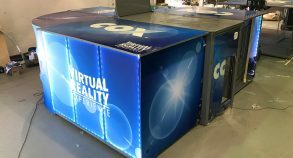 Steel Space Concepts designed three innovative custom made SSLite mobile virtual reality stations. 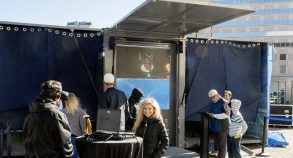 Affordable, quick to set up and easy to maneuver with minimal resources on site, SSLite units can be easily transported using a pick-up or a SUV. 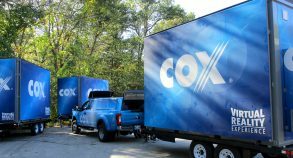 In fact, the company towed the units from one location to the other across the country using their own custom trailer and branded pick-up truck. 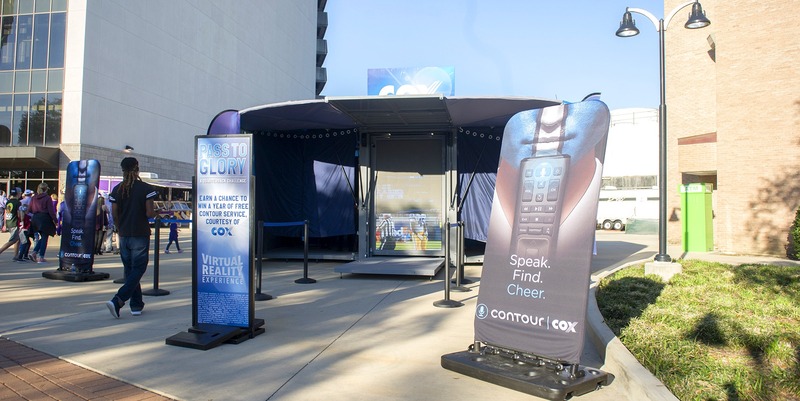 The custom units were activated at a variety of events including the New Orleans Saints home games at the Mercedes Benz Superdome. 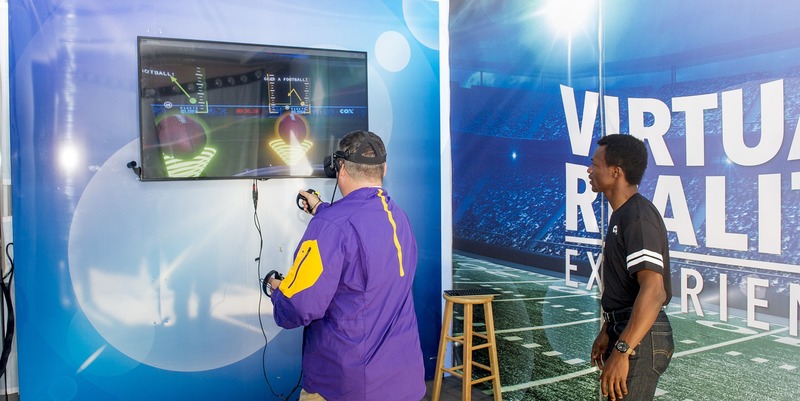 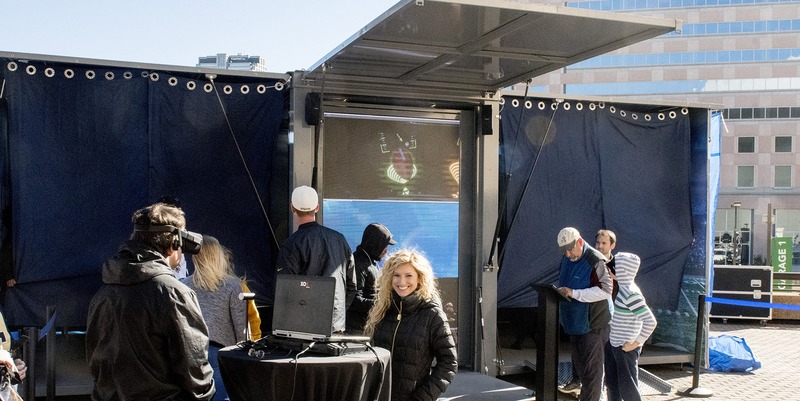 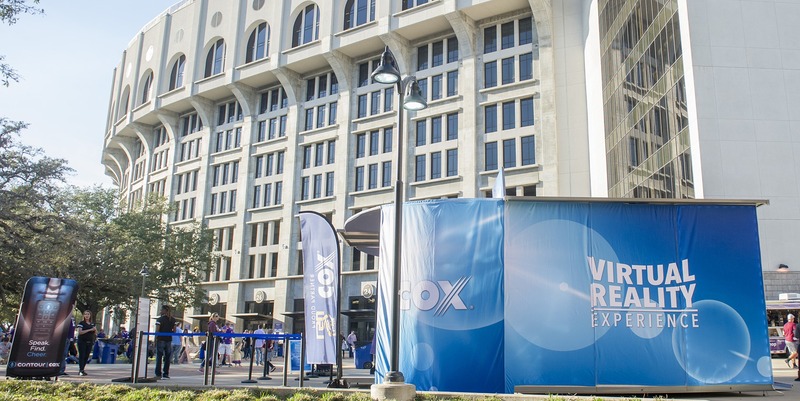 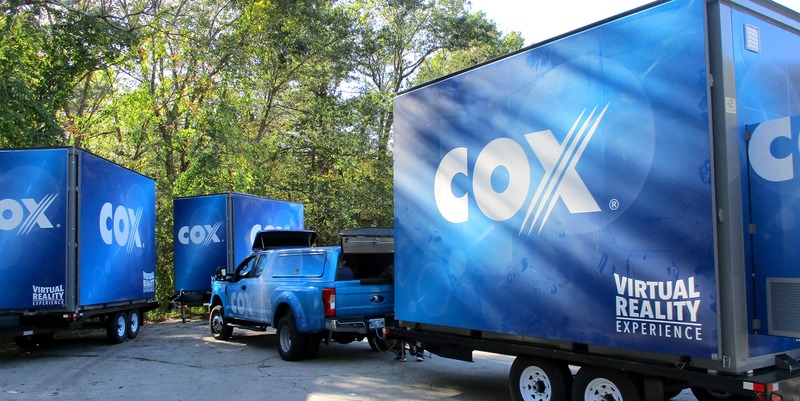 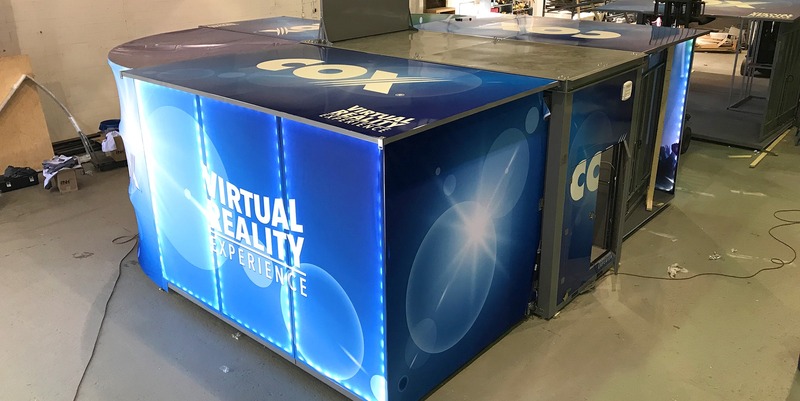 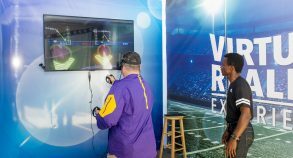 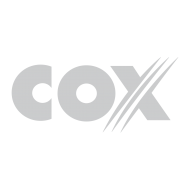 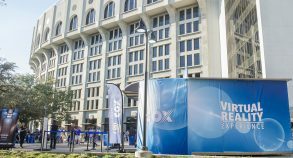 SSLite units’ modular design offers a great range of customization and upgrade options, which enabled Cox Communications to create fun interactive virtual reality stations for their visitors. 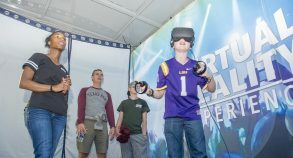 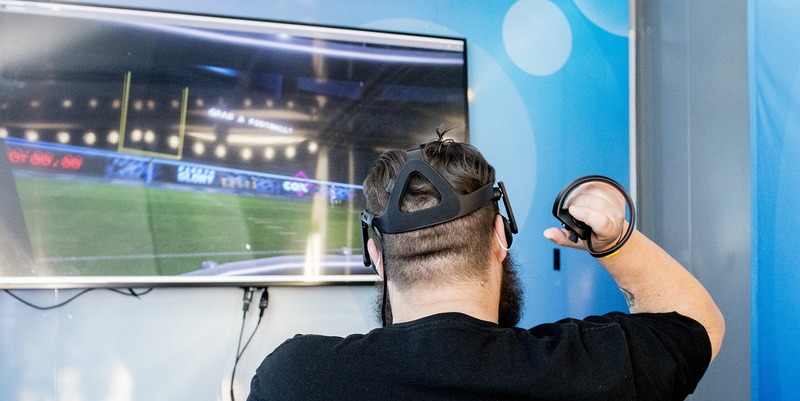 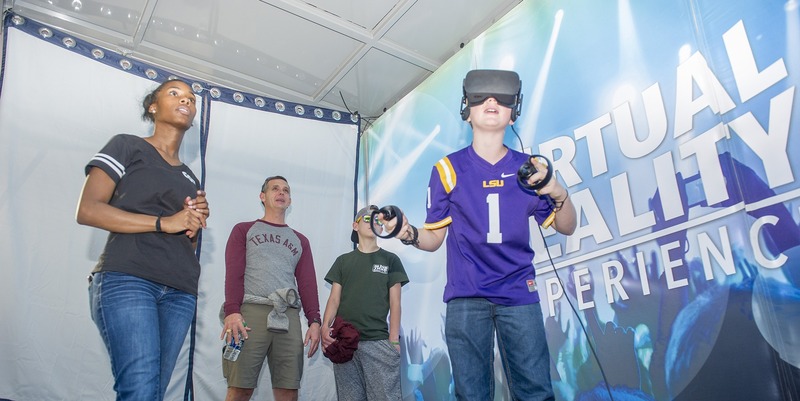 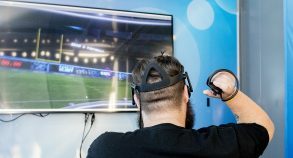 Each unit featured cutting edge virtual reality technology which tested players’ skills in various sports related games, all in an enclosed environment. 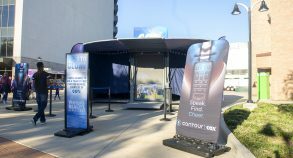 Lightweight and easy to setup, Steel Space Lite units redefine experiential marketing!